The students organised and presented a program for children in Goodooga as part of a short-term adventure ministry called STORM Co (Service To Other Really Matters). The program, held at the town’s bowling club during the week of mid-semester break (September 25-30), featured crafts, songs and stories that illustrated the bravery and courage theme. Students at Avondale participate in a number of locally-based service-related activities. But Chaplain Dr Wayne French says it is good to go outback and serve the Aboriginal population. He has been helping organise STORM Co teams for 20 years, many in his former role as Director of Adventist Youth Ministries for the Seventh-day Adventist Church in northern New South Wales. French says he has seen how the trips not only benefit local communities but also the students themselves. 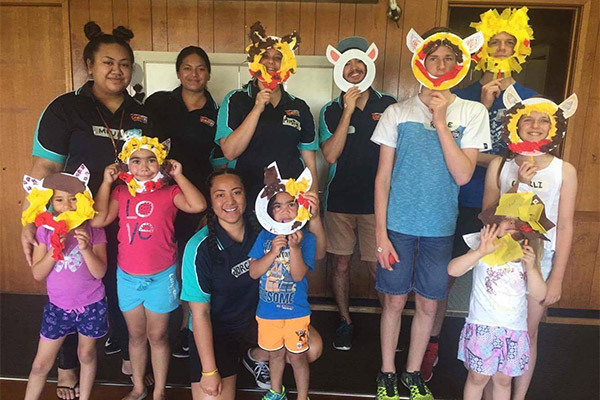 The Adventist Church has been sending STORM Co teams of young adults into local communities since 1992, when a group of Year 12 students planned an adventure in service rather than a school leaving party. Caitlin Serret is a Bachelor of Arts/Bachelor of Teaching (Primary) student minoring in English studies at Avondale College of Higher Education. She wrote this article for the unit, Print Journalism Practice.